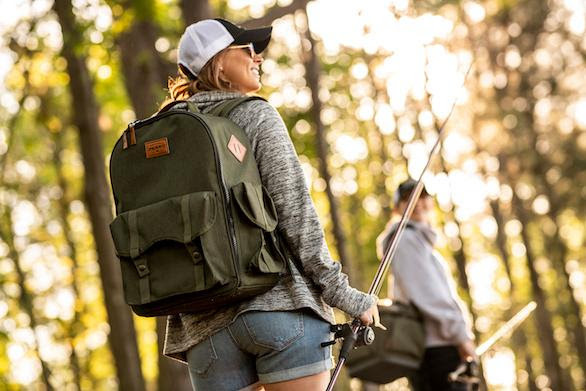 Plano, IL - Whether heading to the public fishing pier or secluded backcountry streams, Plano's new A-Series 2.0 Backpack carries all the fishing essentials and keeps the angler's hands free to fish while on the move. 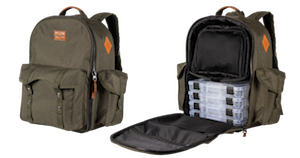 The A-Series 2.0 Backpack comes with five versatile 3650 Stowaway® boxes, which all fit in the massive main compartment with room to spare for a rain suit and other gear. The five Stowaways, with nearly endless options for their dividers, can carry everything from small swivels and hooks to large lures and rigging tools. A divider in the A-Series 2.0 Backpack's main compartment separates the Stowaways from the other gear. Also, inside, the Plano A-Series 2.0 Backpack features tool holders, a large zippered pocket and a structured mesh pocket that is perfect for items such as car keys, wallets and cell phones. An exterior pocket can hold an additional 3600-size Stowaway or other equipment that you might need to access regularly such ash terminal tackle - hooks, sinkers, snaps and bobber stops. Two adjustable, metal snap closure exterior pockets can keep a flashlight or can of bug spray where it's quick to grab. Two zippered pockets can work for sunscreen, sunglasses, extra leader material or anything else you want handy. Canoeists and kayak anglers will appreciate the A-Series 2.0 Backpack's dual side lash-tab attachments for strapping on a rain jacket or they can serve as an extra grab place, making them easy to carry during a portage. Simply insert a carabiner in the lash tab and attach a water bottle for quick hydration. The side pockets and lash strap double as a convenient place to store rods when you're one the move. Tackle and gear storage can be challenging for an angler on the move, but Plano continues to prove you don't have to leave any of your favorites at home when you can throw them on your back. Find all your fishing tackle solutions at www.planomolding.com.